Do you have what it takes to be the greatest outlaw that ever lived? Grab your supplies and head out into the Old West! Survive the harsh conditions by making important decisions. 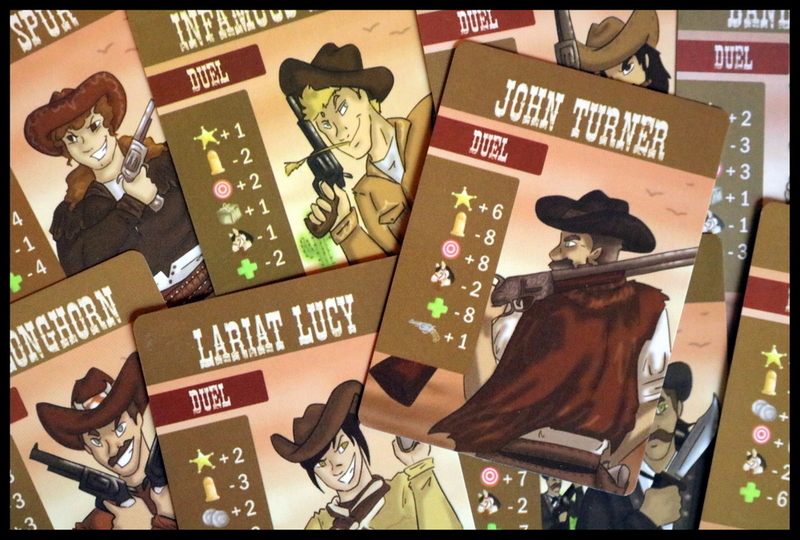 Prepare to win duels against some of the West's most notable gunslingers by buying, selling, and trading supplies. 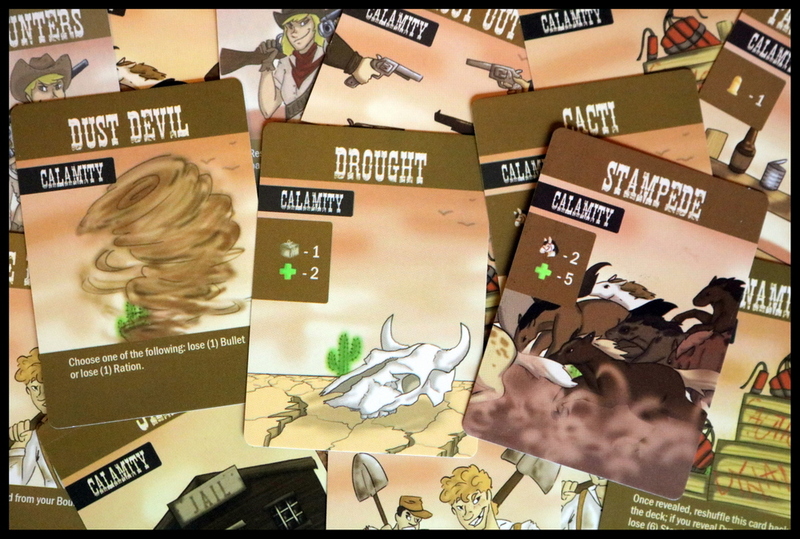 Avoid calamities like dust devils, bounty hunters, and droughts. Kill a few critters. Rob a few banks and trains. Earn notoriety, keep supplies, stay alive, and collect bounties. With a little luck, you'll make your mark on history! 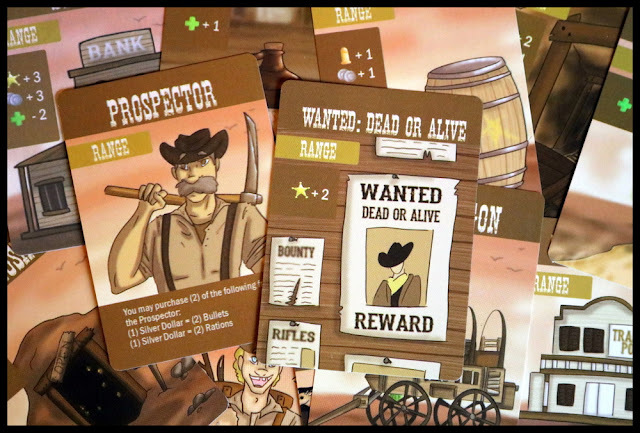 Frontier: The Card Game pits gunslingers against calamities, critters, and other bandits in a Wild-West-themed, card-based showdown. 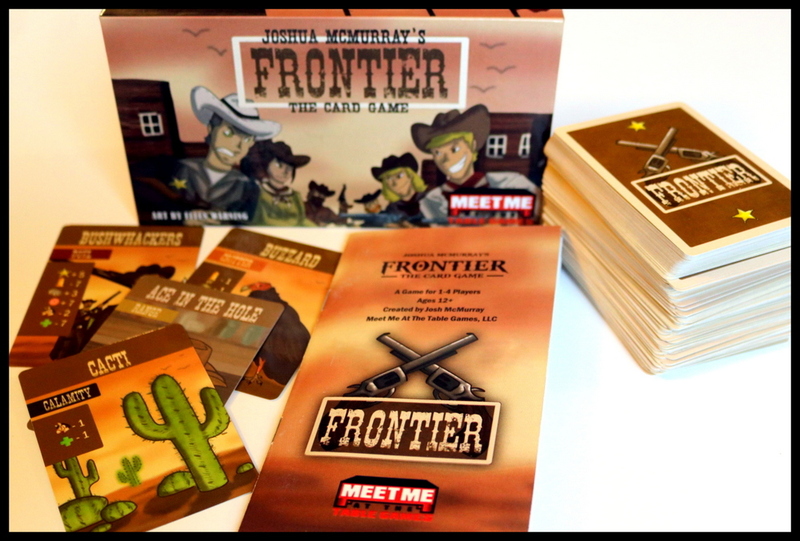 Every card is illustrated and the card texts and rules are dripping with the lively lingo of the frontier. The theme shines through here, turning all the yokels into desperados. 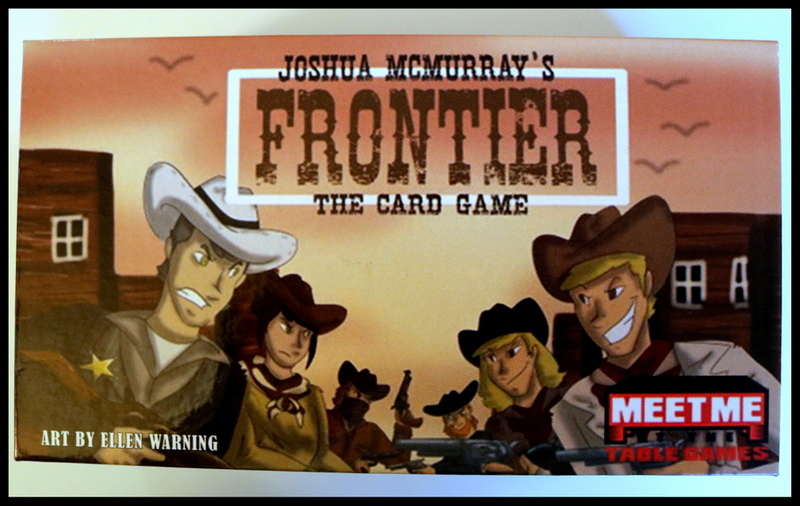 Frontier is a card game. Lots and lots of cards. A doorstop-worthy brick of cards! 483 cards, to be exact. The slim box doesn't contain an insert or card dividers, and all the cards have the same back and the same color scheme, so set up takes a little while. Cards are divided according to type and placed in the middle of the table to be the supply: Silver Dollars, Bullets, Holsters, two types of Guns, Horses, Rations, etc. Each player gets a certain number of cards depending on the difficulty level you choose for the game, and claims a swath of table to play them on (this game is a dastardly table hog! 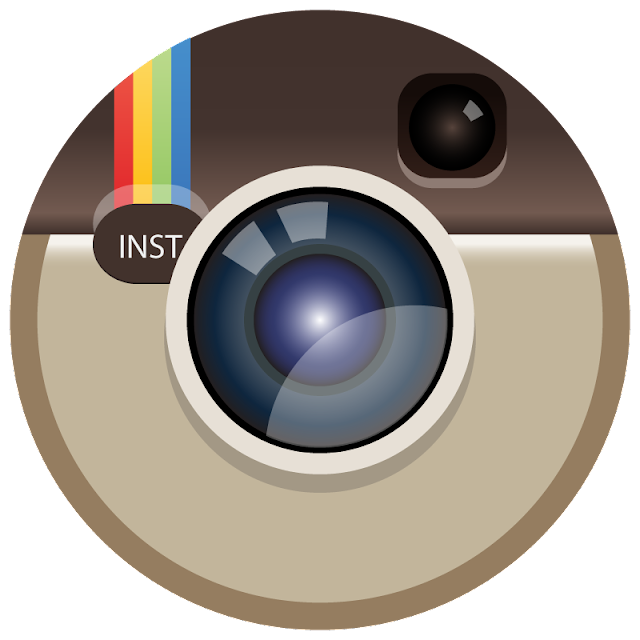 ), find a way to record each player's Stamina, and you're ready to begin. The rulebook for Frontier jumps right into the specifics of the cards without giving a broader picture of the game, so let me start there. 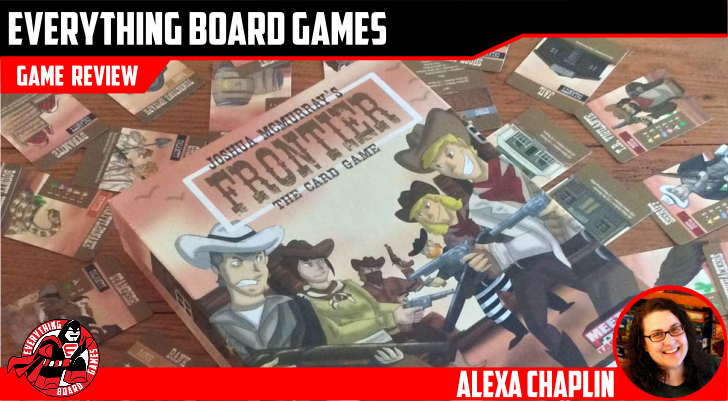 In Frontier, you are a gunslinger trying to stand strong in the face of various encounters drawn from the deck. As you succeed against the encounters, you'll earn more supplies, more Stamina, some Notoriety, and, in the end, a whole bunch of Bounty. 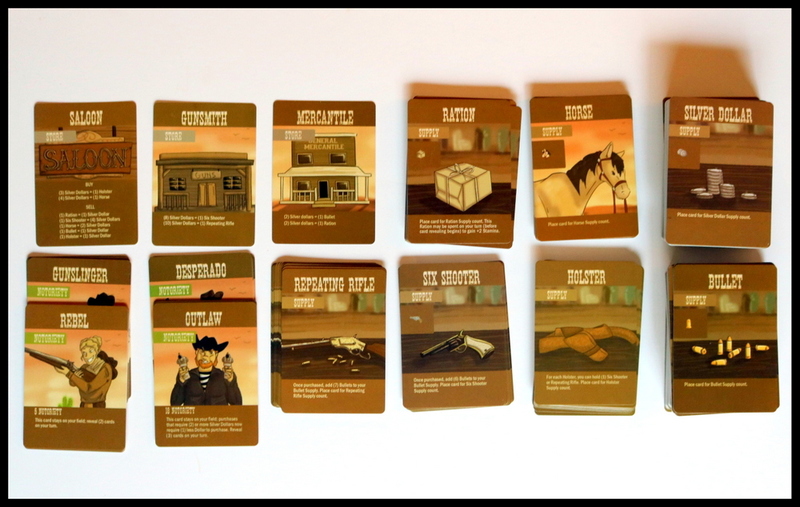 The game ends when one cowboy dies (runs out of Stamina) or when all nine of the major Duels have been successfully faced. As you pull cards from the encounter deck, you'll face Calamities (cards that force you to lose some of your supplies or stamina), Critters (varmints of all kinds that you can overpower with Bullets or lure away with Rations), Duels (rootin' tootin' opponents who are hard to beat), and Range cards (which have a variety of things you might face out on the range and can be good or bad). 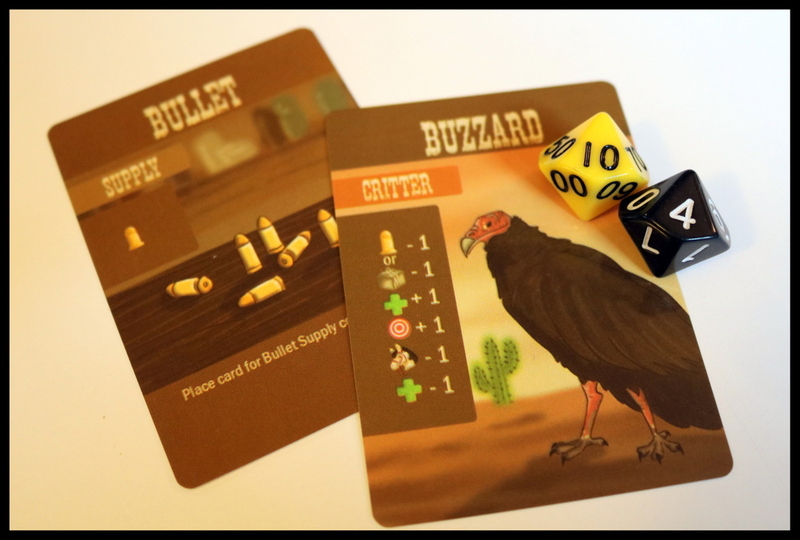 You'll need to have a stock of supplies to be ready to face the encounters in Frontier, and at the beginning of each of your turns you can buy or sell supplies as needed. You'll start the game with one Holster, a Six Shooter, and six Bullets, and as the game goes on, you'll want to buy more Holsters to hold more guns so that you can carry more Bullets—because several of the Duel opponents you'll face need more than six Bullets to defeat. If you don't have the right supplies to succeed against a wily encounter, you'll either need to use a Horse to flee or you'll lose Stamina in defeat. As you overcome the obstacles in your way, you'll be gaining Notoriety points (marked by a yellow Sheriff's star). 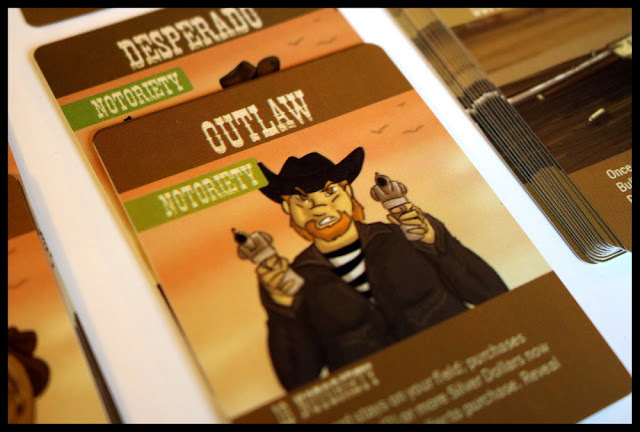 When you hit certain levels of Notoriety, you'll gain a new level of Wild West badness: Rebel, Outlaw, etc. Each level brings with it some new abilities and the challenge of facing more encounter cards on each turn. 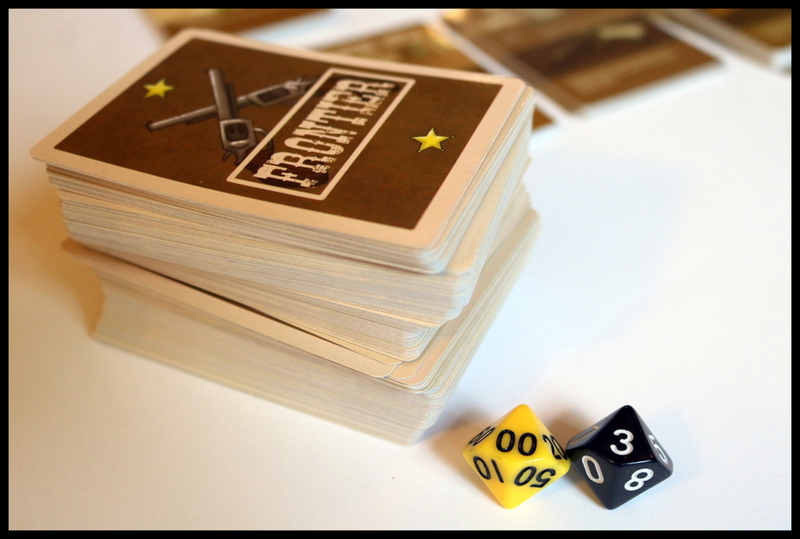 You'll also need to keep track of your Stamina—the designer recommends paper and pencil, but we found it a little easier to use percentile dice (two d10's) because your Stamina will go up and down a lot through the course of the game. We also wound up each using a d20 to track our Notoriety, since the cards that provide it will get lost in your Bounty Pile of conquered encounter cards. 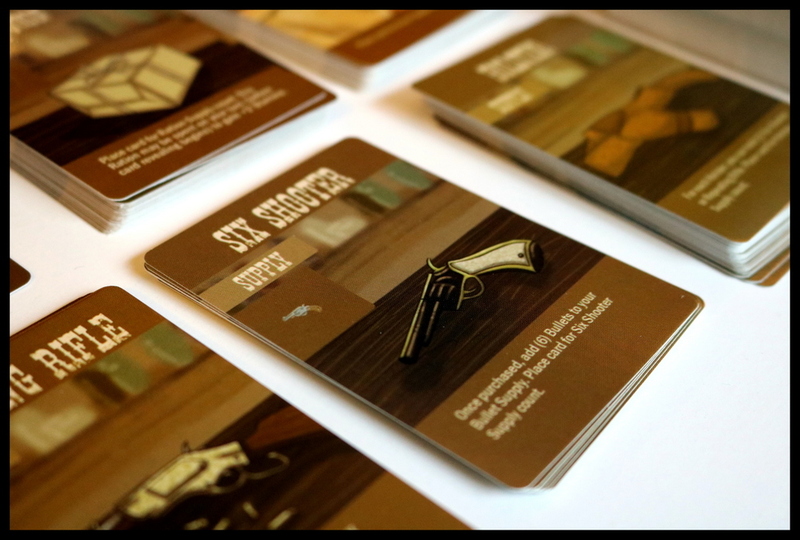 Build up a ruthless pile of cards in your Bounty Pile and at the end of the game, if you're the outlaw with the most Bounty, then, howdy! You've won Frontier! The giddy-up theme is great in Frontier; the illustrations and text inspired us to put on our best Wild West accents and rustle up some Western grub to make a night of it! 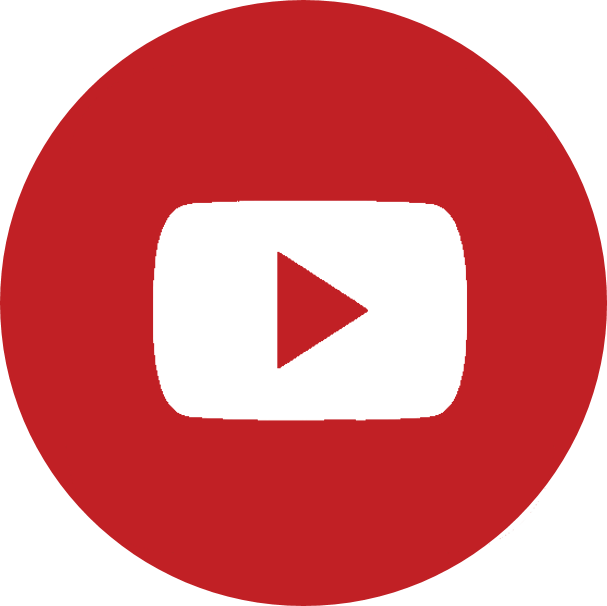 Gameplay is fairly easy to learn—draw an encounter and try to vanquish it. Balancing your stock of supplies so you'll be best prepared to deal with Critters and Calamities gives a good amount of resource management strategy. I liked that Frontier can be played solo—try to survive against the whole 173-card deck of encounters! Our players struggled with the cards that all look very similar; we wished that instead of a thematic brown carrying over on every card, certain cards would have different color backgrounds to make them more visually distinct. 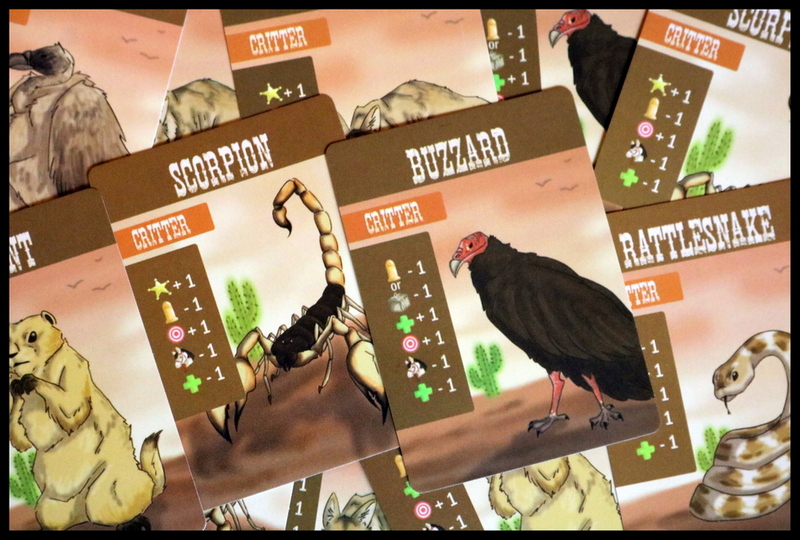 We also struggled with the way the icons are listed on each encounter card. The rules explain what they mean, but because some of them apply if you succeed while others take effect if you fail, having them all in a single column with no dividers or spaces was very confusing. It was also difficult having to find our own way to track Stamina and figuring out that it would be easier to also have a way to track Notoriety. It would be nice to have those trackers included. The rule book makes a big point about having certain Capacities (maximum numbers of each type of card that you can keep in your supply) but doesn't provide a player aid or other way to remember that, so we had to keep referring to the rule book. The encounter deck, at 173 cards, is pretty ungainly—hard to shuffle, and can make it seem like the game will never end (especially if you're playing with younger gamers). 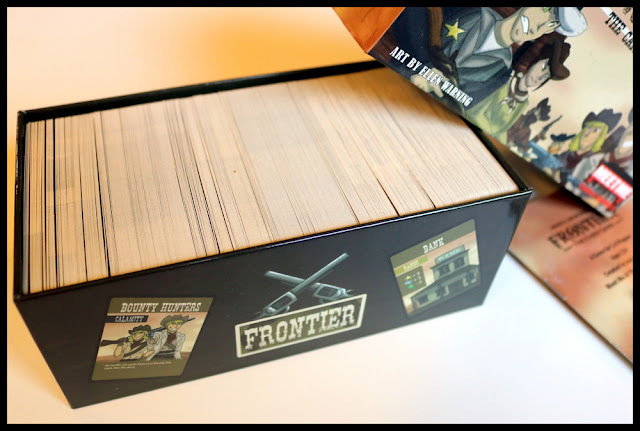 Players who enjoy games like The Oregon Trail Card Game or Tiny Epic Western will find it easy to get on board with the theme of Frontier: The Card Game. 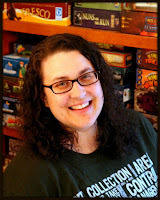 Other players who enjoy card games and supply management like Machi Koro or Munchkin may find Frontier a good fit, too. I really enjoyed the theme and spirit of Frontier: The Card Game. 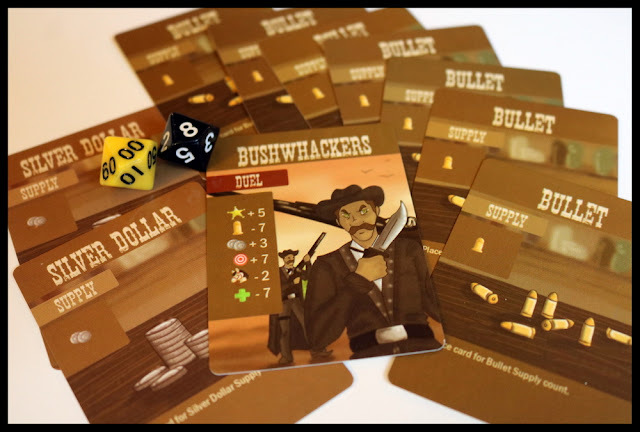 The game at its core—the resource management needed to take on a variety of encounters to earn Notoriety and Bounty—was light but engaging, making it a good fit for families and lighter gamers. We did have issues with the way the game was visually and physically presented but I can see solutions to all of those problems, and for many players, those things might not even be an obstacle to play. Like in the Wild West, the road may not always be smooth, but where there's a will, there's a way!